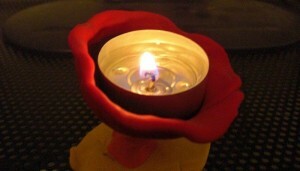 Worship in a meditative atmosphere with readings, song and silence. Participants are asked to enter the sanctuary in silence and to leave the same way. As always, people are welcome to linger after the service. Childcare is not provided. Contact Connie with questions. 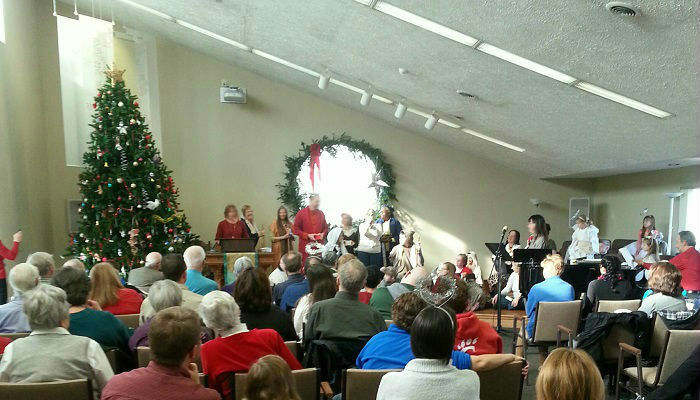 During the 2015-16 church year, Vespers Services are being held from September through May on the second Wednesday of every month (September 9, October 14, November 11, December 9, January 13, February 10, March 9, April 13, and May 11. ). 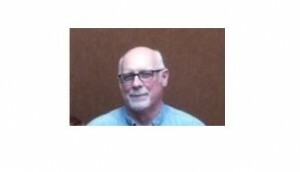 Eric Huffer is President of the Board of Trustees of our MidAmerica Region of the Unitarian Universalist Association. 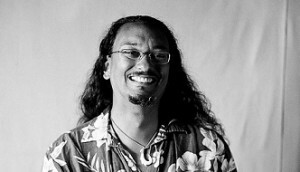 He will be speaking on serving with grace, based on ideas laid out by UU minister Rev. Erik Wikstrom in his book by that name. Many of us know Joseph Campbell’s work identifying and explaining the patterns which underlie the hero’s journey. (And for those of you who haven’t heard of any of this, don’t worry — come to church today and find out!) Campbell used Odysseus and Jesus, Buddha and Hercules. He did not have Katniss, Laura Croft, or Super Girl. These modern female heroes have caused our guest preacher to think back on the likes of Persephone and Demeter, and wonder how Campbell’s typology differs when women’s journeys are considered. An examination of the question: Does the hero’s journey change when the hero is a woman? Rev. 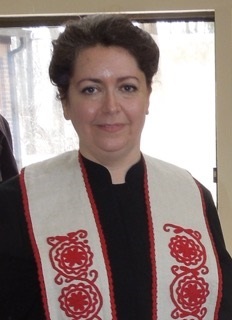 Mitra Jafarzadeh is the minister of the St. John’s UU Church in Clifton. Matt Weinstein, long time member and friend of Heritage, returns from his second year of divinity school. In a reflection that doesn’t go anywhere, Matt hopes to teach everyone a little bit about what he’s learned in his time away exploring the universe. Come as we try to figure out what reality is like together. Many of you will remember Matt Weinstein, one of our beloved Heritage youth from several years ago. 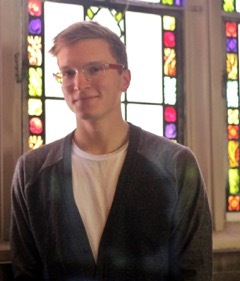 Matt is now a graduate student at Harvard Divinity School, studying to be a Unitarian Universalist minister (with congregational sponsorship by his home church – Heritage!). He will be back in town over the holidays. We look forward to welcoming Matt back to Heritage. Last year’s Pop-Up pageant was such a success, that we must do it again! Our pageant tells the story of The Nativity with all the familiar players and carols and, yes, no rehearsal! 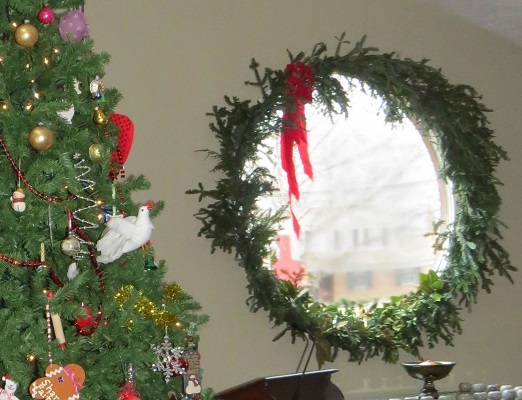 This multigenerational experience will cast all characters on-the-spot, from shepherds to angels to animals, with basic costumes provided for everyone who wishes to participate. Come one, come all and be a part of our Pop-Up Pageant! 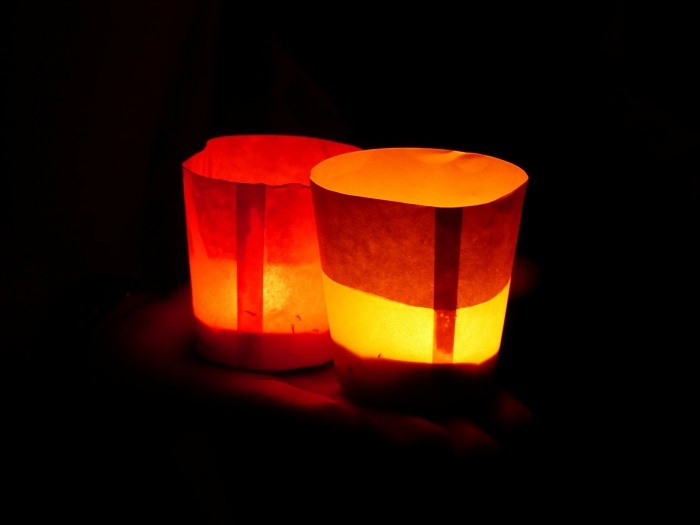 In this season of love and light, holidays and hope, we gather as Unitarian Universalists who have unique perspectives on “the reason for the season,” and on the events taking place in our fragile world. This morning we will sing together, pray together, reflect together, and joyously welcome the newest group of Unitarian Universalists into our beloved community. 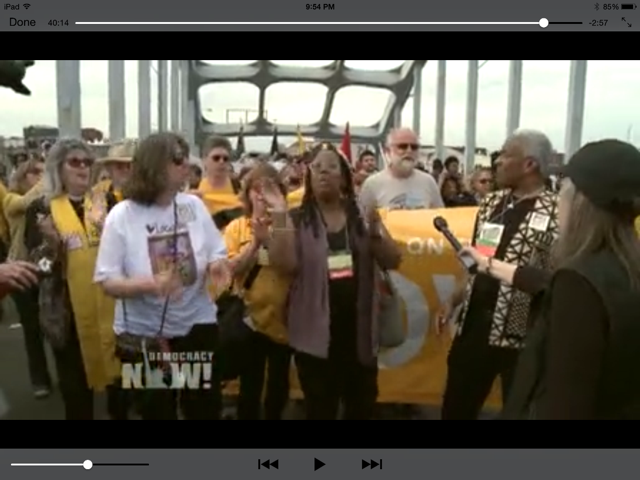 Screen capture from a Democracy Now video, at the Edmund Pettus Bridge in Selma, Alabama, in March 2015. Rev. Bill is in the second row, part of the crew holding up the banner. Earlier this year, our minister made a pilgrimage to Alabama—his mother’s birthplace—to march, with thousands of others, across the famed bridge in Selma; to participate in the 50th anniversary events surrounding “Bloody Sunday” there; and to examine, along with a significant gathering of Unitarian Universalist ministers and laypeople, the state of the civil rights movement today, half a century after Selma. This morning Rev. Bill will reflect on that experience. Black Lives Matter as much now as they did 50 years ago. Racism runs deep in the fabric of America, from Alabama to Ohio, from Selma to Cincinnati. In the face of systemic injustice, we are called, as Unitarian Universalists, to stand on the side of love. Also today, our Choir will sing for us, we will honor those among us who have been members of Heritage Church for 10 years, and we will celebrate the 30-year anniversary of our church building. A service not to be missed! Update: Text of Rev. Bill’s reflection. Adam naming the animals. 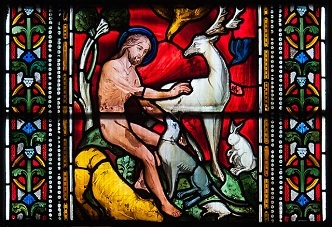 Detail from stained glass window at Christ Church Cathedral, Dublin, Ireland. Humanity’s ageless search for truth and identity begins with a simple question: ‘Who am I?’ Together we’ll explore our need to give everything a name—including God and ourselves—and how naming attempts to answer that age-old question.